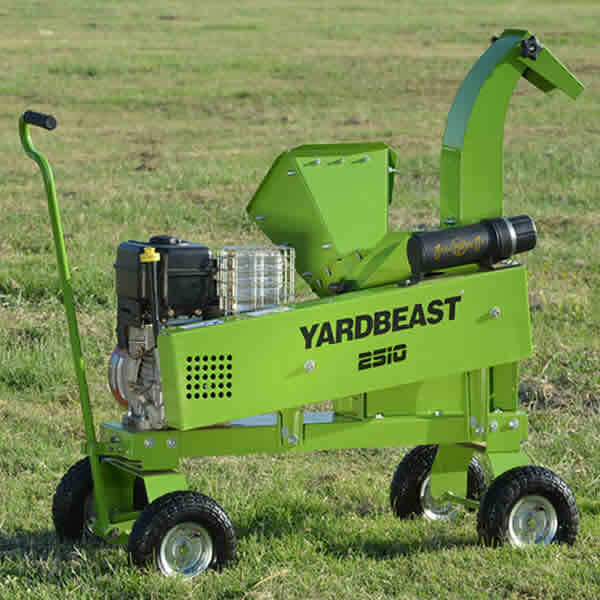 Wood chippers differ in design from chipper shredders, and they do so to serve different purposes. Chippers only contain a large flywheel with a blade or multiple blades. As the flywheel gains momentum, it decreases its use of the engine, placing less stress on the engine's components. These are designed for hard wood, around 2 1/2" or more in diameter. Chippers are great for reducing large limbs and branches into uniformly-sized chips that can be used for garden beds and walkways. Gas Chipper Only (No Shredder) Buyer's Guide - Find Out How to Pick the Perfect Chipper Only. Our chipper shredder how-to library can help you pick the perfect electric chipper shredder, gas chipper shredder, pto chipper shredder or chipper shredder vacuum.